Home Hair Care Natural Benefits Of Rice Water For Hair? Natural Benefits Of Rice Water For Hair? 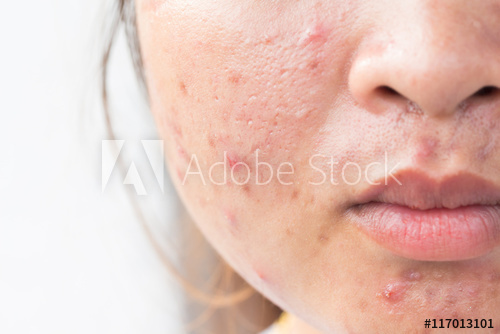 Rice water is mainly used to beautify the face,hair and body since ancient times.Rice water contains inositol,carbohydrate,which can penetrate damaged hair and repair it from inside out both and even protects hair for future damage. Rice water also have amino acids that strengthens the hair roots ,enhancing hair volume and makes your hair silky and smooth. It has also hair care qualities such as reducing surface friction and promoting hair elasticity.So,washing your hair with the rice water increases hair manageability and protect it from damage. 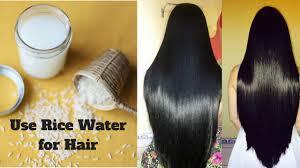 How To Use Rice Water For Your Hair? Before we cook rice ,we soak it in the water and then strain it.The strained out water becomes the a milky liquid due to starch residue.The milky water is rich in vitamin and minerals which is very useful for your hair.It helps to make your hair healthy,long,smooth and silky. Let's take a look to the method or procedure how to use the rice water for hair effectively to make them stronger,soft,healthy and provide extra volume and extra shine to your hair. First of all rinse the uncooked rice(1/2 cup) with about a cup of water to remove dirt or impurities present in the rice. Then put the rinsed rice(1/2 cup) in a bowl and cover it with the 2-3 cups of water.Leave it for 25-30 minutes.Swirl it until the water gets cloudy.If the water gets cloudy it ensure that the vitamin and minerals present in the rice seep into the water. Now,strain the rice and reserve the water(your rice water is ready to use) and use it whenever you want. Rinsing your hair with rice water provides shine to your hair and helps in keeping them strong and healthy. Whenever you want to rinse your hair with the rice water keep in mind that add a few drops of lavender,rosemary or chamomile essential oil to it. Then shampoo your hair as usual. After that pour the rice water over it and leave it for 20-25 minutes(gently massage your hair and scalp during this period). At last rinse your hair with the normal water after following the procedure or method. Repeat this procedure at least once a week and enjoy the improvement in the texture of your hair. Health benefits of aloe vera for hair? Benefits of coconut milk for your hair? Get rid of itchy scalp? Want to get thick and long hairs? Get rid of split end hairs?